Claim: Climate change 'may' be responsible for the abrupt collapse of Tibetan civilization around 2000BC | Watts Up With That? PULLMAN, Wash.–Climate change may be responsible for the abrupt collapse of civilization on the fringes of the Tibetan Plateau around 2000 B.C. The findings were puzzling considering that the scientific consensus of the time was the region’s climate would have actually favored millet, due to its shorter growing season, over wheat or barley. Guedes’ work points to climate cooling as the culprit behind the collapse of early civilization on the Tibetan Plateau. Ironically, the region is today one of the areas experiencing the most rapid climate warming on the planet. There are some areas in the southeastern plateau where temperatures are 6 degrees Celsius higher than they were 200 years ago. Rapid temperature increase is making it difficult for the region’s inhabitants to raise and breed yaks, a staple form of subsistence in the central Asian highlands, and grow cold weather crops, once again endangering their survival. “So now we have a complete reversal and climate warming is having a big impact on the livelihood of smaller farmers on the Tibetan Plateau,” Guedes said. ← To whom does a Christian owe their loyalty? They created a model which then showed.!!!!!!!!!!!!!!!!!!!!!!!! Sorry, i am wincing with disdain. Sure, scoff. But numerous models runs and other models have confirmed the accuracy of the models more times than anyone can count. One model can’t confirm the accuracy of another model. That’s like saying one bigot agrees with the prejudices of another therefore it confirms it as true. Measurement (in the real world, not the world-model) is the necessary confirmation. “My colleagues and I created a new model based off what we found in the literature,” Guedes said. I would be more convinced if they created a model based ON the literature. Things stand on bases. They fall off them. The nature of science is to create models that reflect a natural process in a predictive way. When the models are able to predict a natural process or events consistently it is promoted to a theory. This process is often turned on its head. Make a model that has no predictive qualities and cannot be dis-proven and claim the model is accurate. Climate models do have predictive qualities in terms of global temperature, unfortunately their predictive qualities are extremely poor. Accepting climate change would be like Newtonian mechanics being accepted after only by chance predicting correctly the path of a planet or two. Newtonian mechanics was made more accurate by relativity adjustments, but it’s predictive ability was well established. The last 20 years show climate models inept in understanding the relationship of additional CO2 and global temperatures. Green house physics is sound, but it’s application within climate models is abysmally wrong. Finally there are no models of extreme weather from CO2 or temperature increases, never mind predictive ones. It’s idle speculation in combination with frantic arm waving. It must have been all those Tibetans using cremation to get rid of their dead. Oops sorry, they use “sky burial”. Oh well. Anyway, there appears to have been an event that had global consequences around 2000 BCE. There is a bump in the carbon-14 curves and Egypt dissolved into its first intermediate period. They were mostly growing barley in the first millennium BCE from the written records. As it is, the current state of the Tibetan plateau is such that not a lot grows there due to the cold and altitude. I would really like to take her to Tibet for a year. Get her out of her ivory tower and show her the real world, not models. But I guess models are the go to now. Sad. She would probably love that if you funded her research. But you can’t blame her for working with what she has. She has carried out extensive field work in China and that area. She is a young, new academic in archaeology just needing grants to get tenure, as everyone new to field archaeology must get in order to publish and survive. Give her a break. I don’t see here where she is hyping Climate Change alarmism (via anthropogenic CO2) in this article. … but then what guy wouldn’t want to take her to Tibet for a year??? or Tahiti? That’s Tahiti; just ask Phil Coulson. You have to give her props for checking agronomy literature. That’s considered thinking out of the box. And she used that literature to come up with her model. The mention of the Holocene Climatic Optimum also goes to show temperatures were warmer…until global cooling. There are several known examples of ancients being forced to move due to a changing climate. None were forced to move due to “climate change,” which wasn’t invented until the 20th century. Wasn’t Angkor Wat destroyed by the climate change of the non-existent Medieval Warm Period? 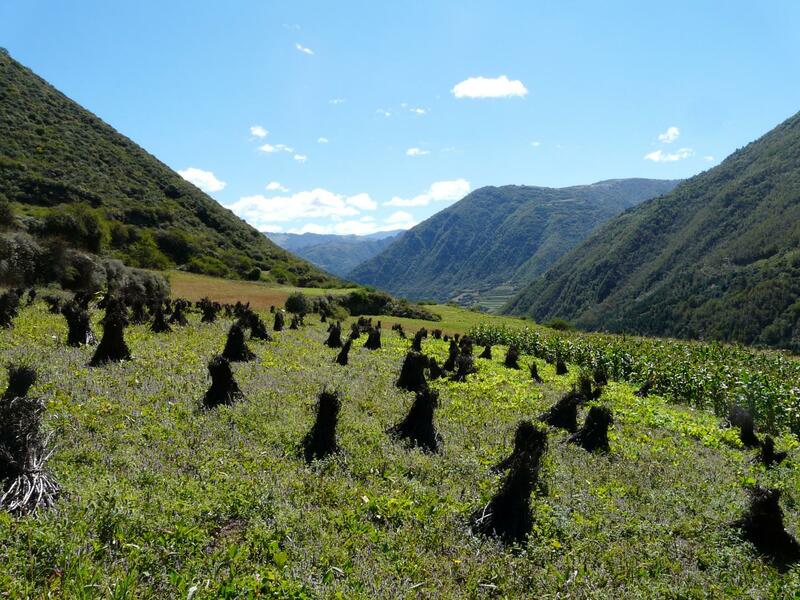 She found agronomists tended to use a different measurement than archaeologists to determine whether crops can grow in cold, high altitude environments like the Tibetan Plateau. I wonder how long this lack of interdisciplinary awareness has been going on. It doesn’t sound like the sort of thing archaeologists are expected to be experts at in the first place. And is it still happening in studies of South America or the Pacific Islands? A lesson I learned very early in my life which was supposed to be a joke but I found to be VERY true, I forget the exact words from 1960 or so but – The higher your education the more you learn about less and less. Eventually, you learn all there is to know about nothing at all. and become an expert in nothing, It has amazed me the number of “experts” I have worked with (and for) that, although they had advanced degrees in their profession, knew absolutely nothing, zero, about other disciplines, absolutely necessary in the practical application, use, or even understanding of there area of expertise. Many years ago a college grad would be strongly discouraged, even not permitted to immediately go into a Masters program without at least 3 -4 years of practical experience. My wife, whom graduated with a 4.0 GPA was refused admission into Grad school until she had 4 years of experience. Now, kids get their BS/A degree, can’t find a job, go on to get a MS degree, can’t find a job, get a PHD, and still can’t find a job – So the start teaching all of the up and coming students what (fill in your favorite discipline) is and how it works and why. And they have no knowledge of that topic other than what they have read about it or been lectured on by others with the same lack of real experience. They don’t even know what they don’t know, thus what they know is useless. Intellectual curiosity & questioning present day scientific dogma, is no where present in the climate research done by most in this field. That’s sad for all mankind & this planet. What would Kepler think of these methods used today? Them that can’t teach … go into journalism. And them that can’t teach, create models? Getting a PhD doesn’t guarantee finding a teaching position. Aside from fields offering good job opportunities outside of academia, the supply of PhDs substantially exceeds tenure track opportunities. The surplus ends up scraping by as adjuncts and/or underemployed in other positions. I suspect some of them spend a lot of time expressing their disappointment with the unfairness of the world in forums on the Internet. You may have seen a few of them commenting here. Archaeologists had better know how things work today before they draw any conclusions about how things worked in the period they are studying. That includes agronomy, engineering, transportation and every other discipline they may be trying to write about in ancient times. It’s not that long ago that archeologists did not subscribe one iota to the destructive power of earthquakes, preferring the power and might of mythical armies from undocumented lands. “Rapid temperature increase is making it difficult for the region’s inhabitants to raise and breed yaks”……. Is that real or homogenized “Rapid temperature increase”? Her “rapid temperature increase” stopping the yaks from surviving in Tibet is probably the same “r t i” that means polar bears cannot survive outside the Arctic – but don’t tell the people who breed them in zoos all around the planet, they may laugh at you. So as usual, we find that natural climate change is significant and has often affected human development. All without burning a single lump of coal. One would think the public in general would catch a clue after the umpteenth time this is discovered……. The public has a pretty good BS indicator. It’s the journalists and politicians who need help. The warmer it is, the easier life is especially in colder regions. The destroyer of civilizations in the past has nearly always been colder weather, crop failures etc during cooling cycles. Like, say, the Dark Ages which were colder than the Roman Warm Period. Good point. And it shows how adaption can mitigate against a changing climate which is something the models always exclude. There is something interesting in the findings but then as is normal it goes off to La-La-Land. Is that a genuine increase in temperature or one of those that has been made up in the surface temperature records? it is simple to adapt to warmth. all you need is water and air. evaporation does the rest. adapting to cold is the problem, because that requires energy. if warming was a problem, the tropics would be a wasteland. instead they have the most abundant and varied life on earth. Pick any place on earth. Where is the temperature too hot for life along the equator? Can you find a single spot outside of a volcano? Clearly, if there is no place on the equator too hot for life, warming cannot be a problem. In contrast, there are vast regions of the planet too cold for anything except for the hardiest of species. How to get a scientific article published in 2015. And collect zillions in grants. And get funded to travel to ‘important’ seminars, conferences, etc. in agreeable places. Like – ohhh – say, perhaps Paris, for example. Good wine, great sights, good food, some lovely people – if you start speaking in French . . . They, of course will demonstrate their superiority to your French, with their English. Conversation is then in English – leaving two  winners – a result!! We go to France four or so times a year. And love it! By the way, the claim that Tibet is warming is false. It is now cooling. The recent earthquake that killed the Mt. Everest climbers showed a lot more ice and snow than normal there before the avalanche happened. Ice and snow is increasing in the Alps and other mountains, too. It is snowing more in Hawaii’s mountains, too. must be global warming causing more ice and snow, increasing the weight on the tectonic plates, causing earthquakes. still waiting for the grant from big oil. 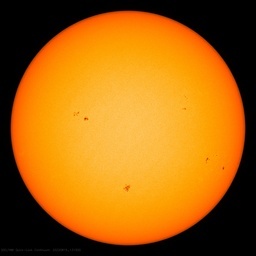 Looking for information about solar irradiance. So, the ancient Tibetans had earth destroying carbon economy too! Yes all those Yak farts and of course, burning all the Yak poop….. This caused global warming, which caused global cooling, which caused the Tibetans to die or move… etc., etc., etc., ad infinitum…………………..or something like that. For clarification, please ask a warmist. People can adapt to a changing climate. only people in the past can adapt. people today cannot. if the temperature goes up more than 2 degrees we will star dying like flies. the IPCC is certain of this and are working hard to save us. They have a legally binding agreement for Paris that will outlaw summer. She was doing good until the last two paragraphs. It would seem those 6 degrees arent actually supported in the literature. What a surprise. Her apparent certainty about the temperature 200 years ago in Tibet stretches credulity. Agreed Bernie. Now, 200 years ago… 1815…Tambora? Coming out of the Little Ice Age (LIA) – plus Tambora, maybe. ?? And how good are her proxies? I doubt there were many thermometers there in 1815 [or so]. so does the claim about wheat doing well in cool climates. It say’s they took Yak stool core samples from the time period being studied to come up with the temperature data. Y’all missed that part. The broader issue here is the proper role of government climate science research. While Professor Guedes’ study may close the case on what happened in the past, it opens the question on what government should or should not be doing to help a societal group adjust to a changing climate. The abstract doesn’t mention anything about current warming. It makes me wonder if the last three paragraphs of the press release was just speculation to make the article seem more interesting. Also the 4200 ky event is well known as a cold spike. Bond Event 3. Loads of civilizations ended then in cold and drought. Also, the German wikipedia says that Millet is now partially being replaced by corn in Africa, probably indicating that corn might be… heat-tolerant? I guess she’ll learn that over time. Well, seriously, they admit it was warmer in the past, and the changes were natural. So why are they not natural now? Because this time, we have models. Yaks, the polar bear of 4000 years ago. They used total growing degree days or the accumulated amount of heat plants need over their lifetime rather than the length of a growing season. It appears several of the above posters were utterly confused about what the author(s) of the study actually meant via the statement of …. “created a new model”. The author(s) simply changed one (1) of the “input” parameters (criteria) to the per se “computer modeling program” …. which resulted in a new “grain growth model” being generated (output) by the computer program. I personally think that was a prime example of great scientific research. Total growing degree days have been used in our grape growing area for at least 30 years if not longer. Just to decide if a piece of property has the right microclimate for grapes or any soft fruits ( of course soils etc are factors as well including the price of real estate.) I found this article only valuable in the sense somebody actually noticed it. There might be hope yet. They just can’t bring themselves to say “global cooling”, can they? We just don’t know how much of that Region’s current warm-up happened before 1950. My guess is the majority of it occurred before 1960. You need to read more carefully. “Global cooling” is right there—and in a direct quote no less. No intention of reading any further. The words “may be respponsible,” tells me that reading the article, is a total waste of my time. Lots of things “may” have caused something bad to happen. It’s Even Worse Than We Thought (TM), The Science Is Settled (c), Our Model Proves It (TM). This might explain the observation that there are no budgies in Tibet. Yes, AGW decimates every species eventually! Or were they taken out by the budgie smugglers? Yes, as the Earth cooled, these ancient civilizations were punished by crop failures and famine. Which what part of that warming was post-1950 when the IPCC says anthropogenic CO2 was sufficient to begin altering climate? Climate changes all the time, so why not? I think this bolsters the skeptical argument. Right and the change was anthropogenic right? Too much itinerant sword sharpening maybe? Someone has forgotten that the perceived problem is that humans are causing the current natural climate change. 4 K years ! I’ve fat old guy fingers ! But, via Al G. it could only be 4 years …. Shows what a meaningless term “climate change” is. Back then, it was certainly not man-made, was it. Of course, climate change is getting warmer OR getting cooler-a bet each way. wake up world, this is propaganda if there ever was. That such junk science is even written should be getting everyone deeply suspicious. I’ll give them some credit. Quite frequently, when research suggests that something bad happened because of a change in the temperature, they simply refer to it as “climate change”, probably because to acknowledge that bad things happened because of climate cooling is too inconvenient. The term “climate change” is great because it is so vague and can hide the simple fact that global warming is beneficial and global cooling is very, very bad for mankind and his civilisations. But of course it all goes to pot when they feel they have to renew their vows to the climate change religion. I find it difficult to believe that a region is now 6 whole degrees warmer compared to 200 years ago. Still, ignoring the inevitable nonsense, this research does confirm the simple truth: warming is good, cooling is very, very bad. There is a lesson here on the risks of monoculture.